New Year's Day Birthday Baby Boy! Mum born 01-01-84 at 8.30am; Son born 01-01-16 at 8.26am! 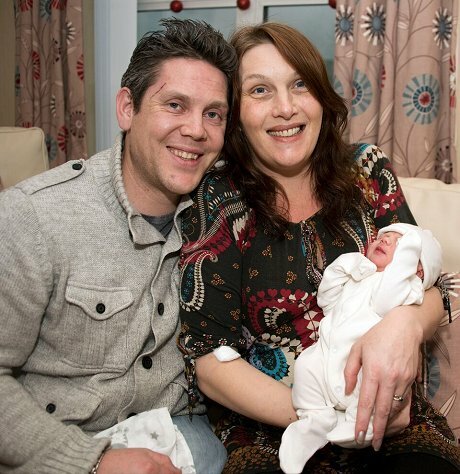 There was a double celebration on new year's day at GWH for Jackie O'Brien - a baby and a birthday! 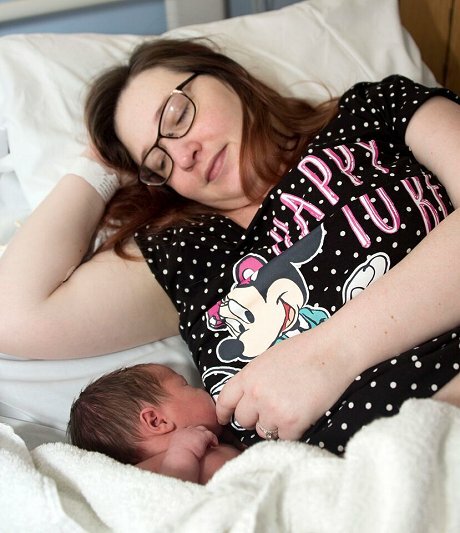 The Swindon mum gave birth to 6lb 7oz Sebastian this morning at 8.26am, almost exactly to the minute when she was born at 8.30am 32 years before. 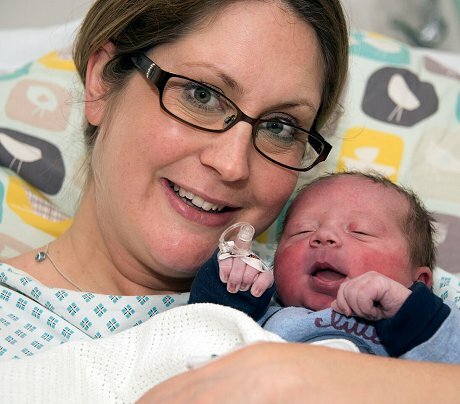 Sebastian arrived two weeks early with both mum and baby bright and healthy. 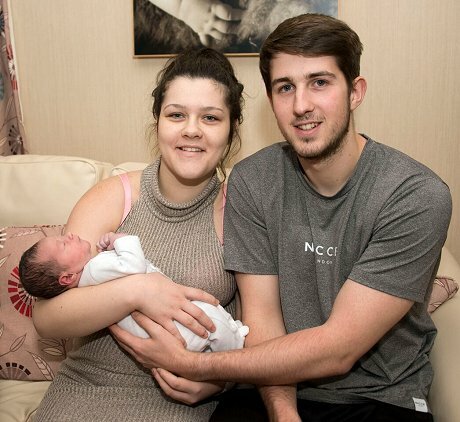 The birthday boy was one of a host of babies born on new year's day at the Great Western - two of them twins! Thanks to Richard Wintle at Calyx for these pictures of joy.